More flavoured green tea! I WILL be trying some that aren't green tea, I promise. The isle in my local supermarket is just so full of deals on Twinings green teas at the moment, I just can't help myself! 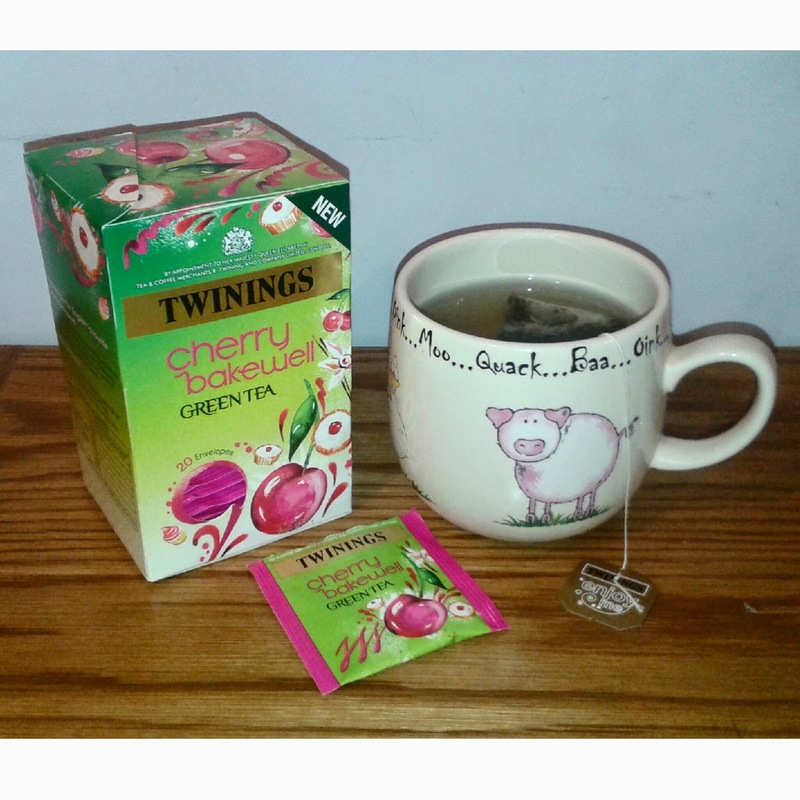 This time around it is the glorious-sounding Cherry Bakewell Green Tea from, you guessed it, Twinings. Thank you, Twinings! I feel a little bit healthier drinking this than normal tea, am curbing my hunger in-between meals (my stomach's kicking off two hours after eating, I'm not being silly) and consuming less calories at the same time! Woo!